One of the most successful British poets of all time . . . is James Thomson, the man who momentarily reinvented pastoral and is now read primarily by scholars who prefer dust to living dirt and by students puzzled by the reputed tedium of the eighteenth century. . . . Once he was the poetic equivalent of the Gideon Bible; his poems were to be found in every inn and cottage in the land. 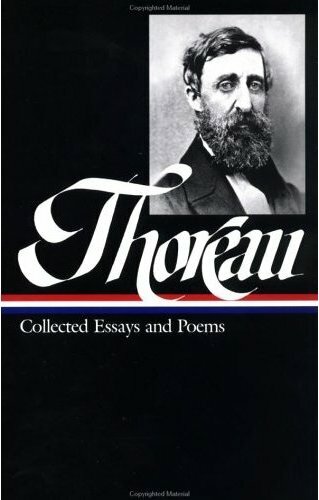 Notes: On page 97, Thoreau refers to several groups of inhabitants of Canadian and Arctic regions: Esquimaux (Eskimos, or Inuit–Yupik), Knistenaux (more commonly, Knisteneaux, or Cree), Dog-ribbed Indians (Dogrib), Novazemblaires (of Nova Zembla island), and Spitzbergeners (of Spitsbergen island, north of Norway). The latter two islands were actually uninhabited during Thoreau’s lifetime. Plicipennes is a name for the caddis fly. On page 98, there are references to the ruins of Palmyra, an ancient city in Syria, and Hecatompolis, the capital of the Arsacid Empire in Persia around the end of the third century B.C. Abu Musa (p. 100) was a medieval Arab alchemist and mystic. The wind has gently murmured through the blinds, or puffed with feathery softness against the windows, and occasionally sighed like a summer zephyr lifting the leaves along, the livelong night. . . . If you don't see the full story below, click here (PDF) or click here (Google Docs) to read it—free! Enjoyed it. Right for the Season and an inspiration to get off of the computer and take a walk. He giveth snow like wool: he scattereth the hoarfrost like ashes. He casteth forth his ice like morsels: who can stand before his cold? He sendeth out his word, and melteth them: he causeth his wind to blow, and the waters flow.